How to Handle a Holiday Breakup. Ending a relationship is more common around the holidays, since many couples feel a lot more tension and stress than usual. Whether you’ve decided to break up or you’ve been dumped unexpectedly, you’re probably stressing out over it because it’s around the holidays. Find out how to handle a holiday breakup in order to navigate through this difficult time without giving up on holiday cheer completely. It doesn’t matter who initiated the breakup, here are the most important things that you should focus on. Spending the holidays with someone you want out of your life or having him be there for you while he wishes he was anywhere else do not sound like good alternatives at all. You might think that ending a relationship before the holidays is inconsiderate, but it’s much better than doing it in the middle of any celebration. Once it’s over, you can start focusing on moving on, because that’s what is really important. If it’s possible, the best way to handle a holiday breakup is to stop all communication with your ex. It doesn’t matter if you both want to stay friends. He’s should be completely out of your life right now, and you can revisit the situation in January. But you don’t need any more grief right now, so just take a break from all the relationship drama. Focusing on the positive things in your life is the best way to move forward, even when you feel like dwelling on your pain. Make a list of reasons you have to be thankful for. You’ll be missing a relationship from that list, but you’ll have plenty of other things that you take for granted. When you’re wondering how to handle a holiday breakup, the worst way would be to be alone. Focus on your friends and family and spend time with them. Let them be your support system and avoid being along and abusing holiday foods or drinks. That won’t make you feel better. Even if your loved ones can get annoying, it’s better to be with them than alone. It’s pointless to ask yourself “why should I be doing this if I’m alone?” when doing things make you feel less alone. Stick to your holiday traditions, they can have a positive impact on you. Whether it’s watching holiday movies, cooking special treats or just eating them, don’t give up on the things that can actually bring you comfort. Don’t resign yourself to the idea of being alone if you can’t be with your friends and family. One of the best ways to handle a holiday breakup is to try to help people who have much bigger problems than a breakup. Focus on the positive things in your life and then try to bring a little joy or comforts in the lives of those less fortunate. 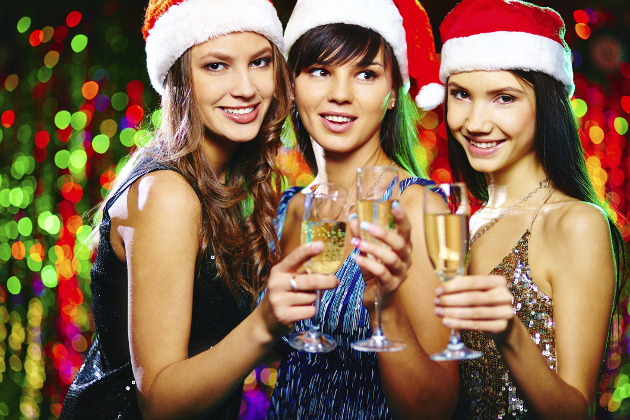 Before breaking contact with your ex, it could be wise to find out which holiday parties he’s attending. Once you cross those from your list, don’t decline invitations. You’ll feel better if you go to a few parties, even on your own. Just make sure that you’re actually there to have a little fun, not to discuss your breakup with anyone who’s polite enough to listen. Doing something that’s relaxing is the right way how to handle a holiday breakup. Don’t overspend on presents for yourself, but invest a little in your well-being, whether it’s with a nice bubble bath or with a spa day that includes a mani-pedi. Having the same conversation about your breakup is not something that’s good for you and you know it, so don’t be afraid to protect yourself. Healing takes a lot and you should be protective. If you don’t want to talk about it, don’t, and simply change the subject when friends or family get too curious. Trying to handle a holiday breakup is already stressful, so make sure that you give yourself a break. If you want to skip a party and just stay home and watch a movie or read a book, do it. Just make sure that you’re focusing on something else than your heartbreak.